For internationally-educated physiotherapists, credentialling is the process of evaluating documentary evidence to determine if your qualifications are not substantially different from Canadian entry-to-practice standards. This section provides detailed information on the process, timing and costs associated with credentialling. Read our credentialling guide and review the credentialling overview to learn how to apply. 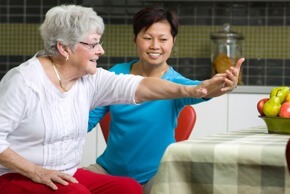 The practice of physiotherapy varies in different parts of the world. If you're an internationally-educated physiotherapists interested in practising in Canada we strongly encourage you to make use of the "Self Assessment Readiness Tool" before applying. If you are an internationally-educated applicant, you must demonstrate proficiency in one of Canada's two official languages (English or French) before being allowed to write the PCE. Here you'll find answers to frequently asked questions related to the credentialling and exam processes.